It was a beautiful, sunny weekday evening. Blue skies, a little breeze and miles and miles of opportunity. Work was done for the day, but I didn't want to just retreat to my apartment and waste the beautiful weather. I texted Afton, "let's adventure." She responded: "OK!" She was on her way to pick me up before we even knew where we were going. 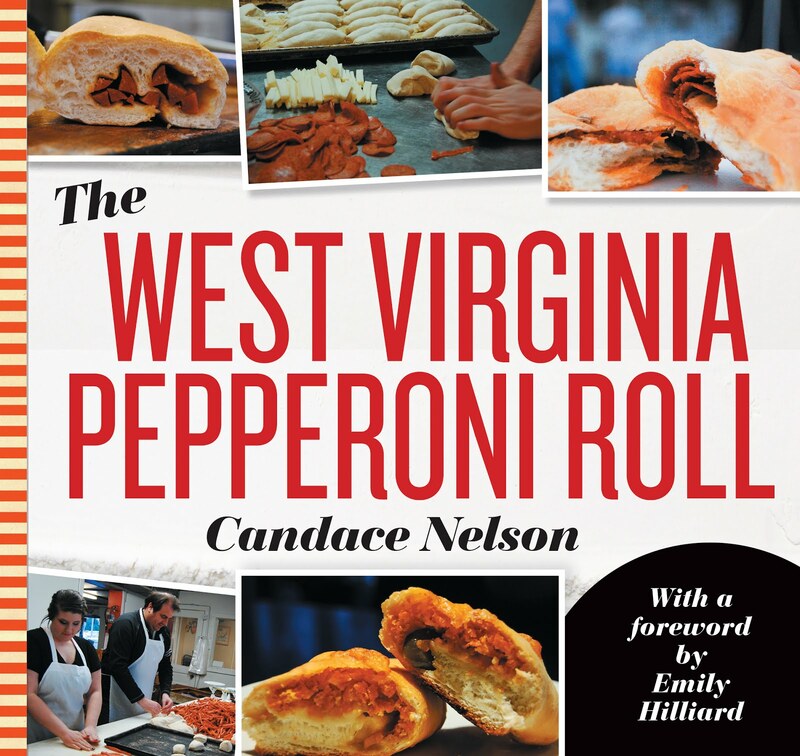 She headed north, and I began searching through Urbanspoon and Yelp for good restaurants north of us. We settled on Mt. Lebanon so we didn't have to go into deep Pittsburgh, and we knew they had some cute little restaurants. 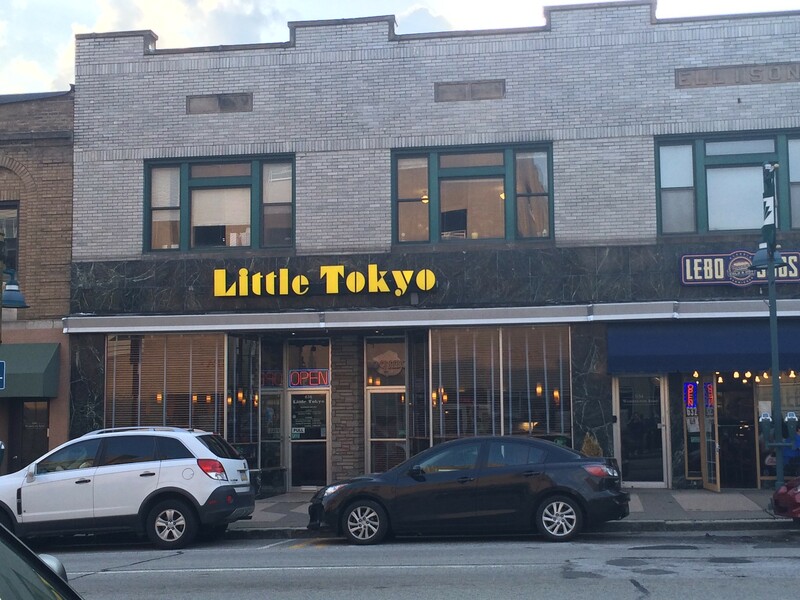 Little Tokyo popped up as a favorite - fresh sushi, the reviews said. The main location is in Mt. Lebanon, though they've opened a bistro in the Southside of Pittsburgh. We parked along the street and made our way in. 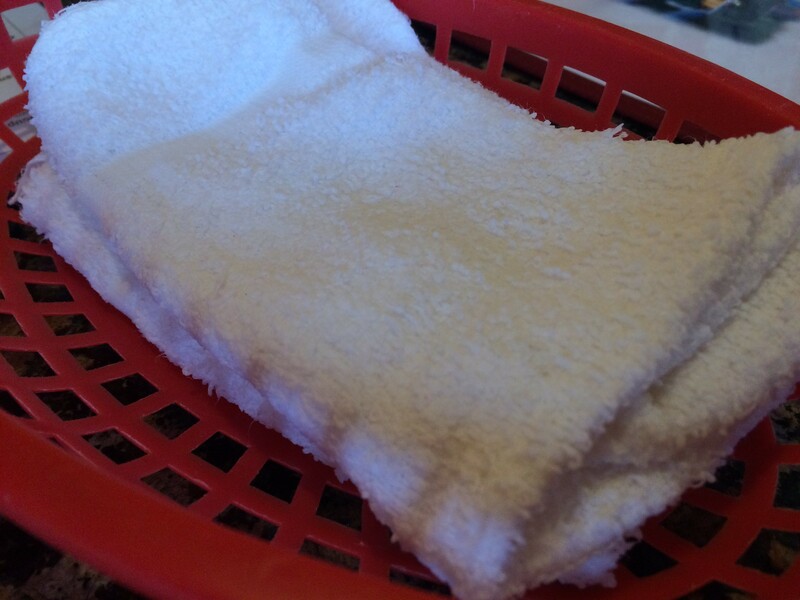 First, we received warm cloths. Ooh! That's nice. I wanted to wait until right before my meal to use them. Unfortunately, after not touching them for a few minutes, the waitress snatched them away, assuming we weren't interested. Bummer. 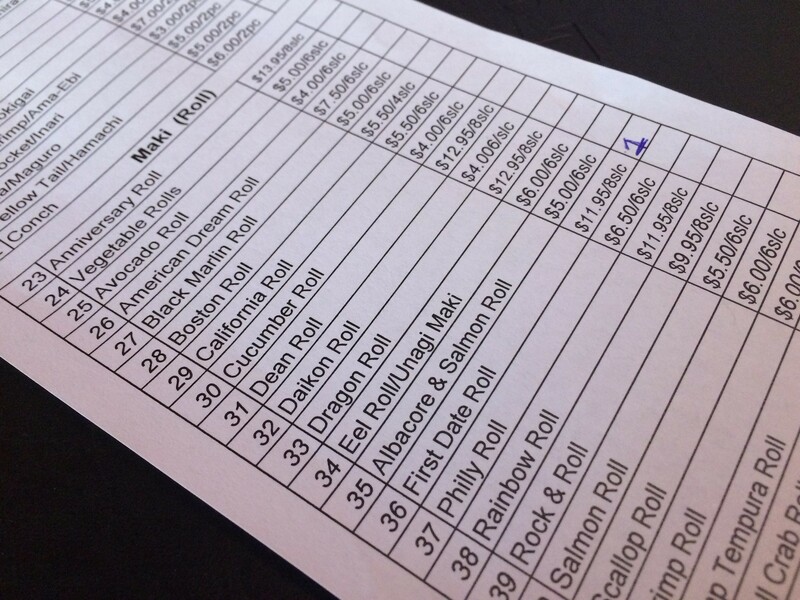 The menu has sushi - sashimi, nigiri, maki, hand rolls, as well as dishes like udon, hibachi and more. I wanted to keep it fairly simple. If they claim good, fresh sushi, let's do it. I looked through a few different rolls figuring out what would be a good gauge. 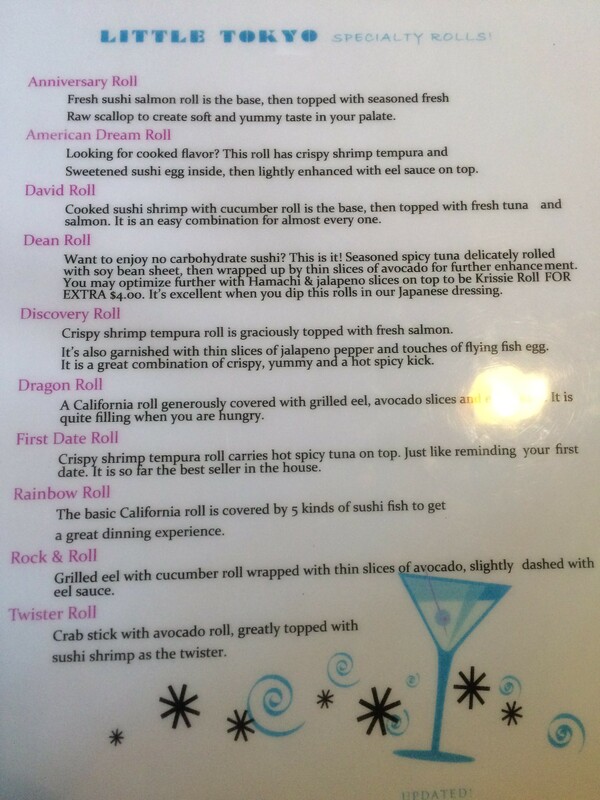 But then I saw the "First Date Roll," which says "it is so far the best seller in the house." That sounds promising. 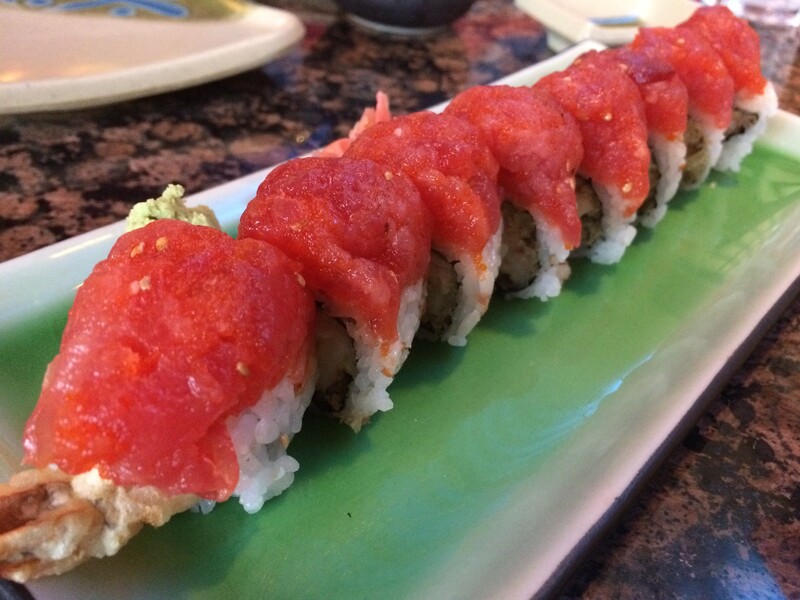 The First Date Roll is crispy shrimp tempura with hot spicy tuna on top. It was eight pieces for about $12, so not too bad. I put in an order for my sushi roll and awaited this little plate of heaven. First of all, it's beautiful. Giant tops of red tuna hid rolls of crunchy shrimp. So, I can see why it's a best-seller. Between the spicy tasty tuna and the crunchy tempura shrimp, the flavors are delicious. 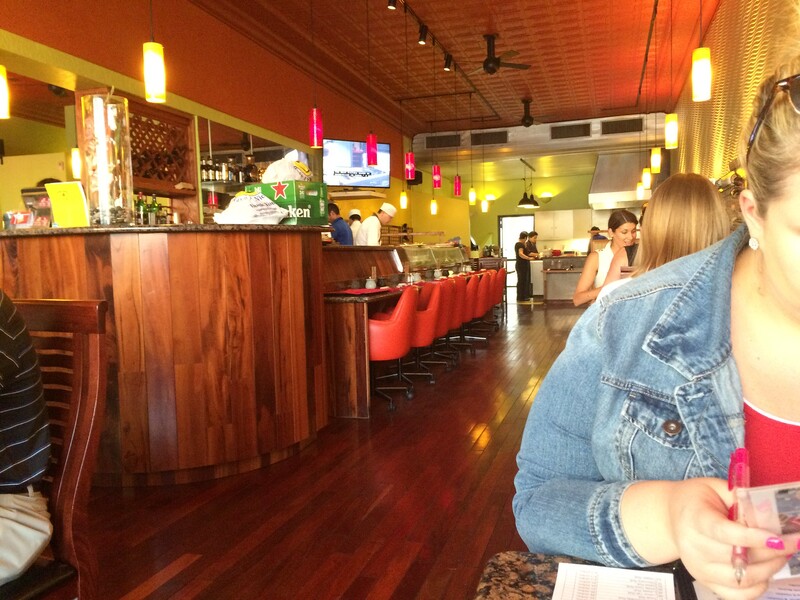 Delicious meal, fresh food and a really cute atmosphere. Nice time.